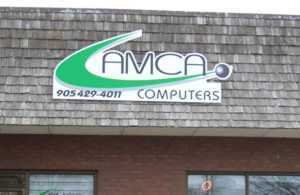 The sign on your building is an important impression to potential customers. We offer custom building signage so the sign on your building will attract customers and define your building in a positive manner. We offer many materials and options that will allow you to find the perfect building sign. Click on the building signage images below to enlarge them. You can also view some of our sign work on our sign portfolio page.